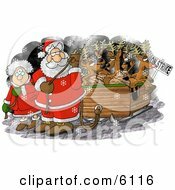 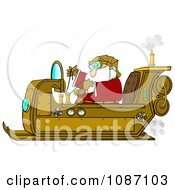 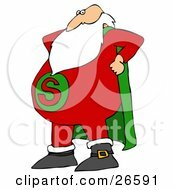 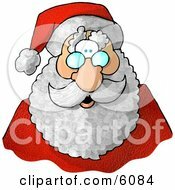 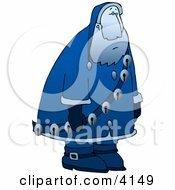 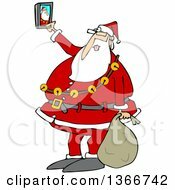 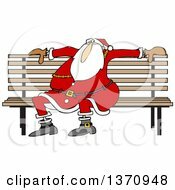 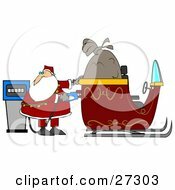 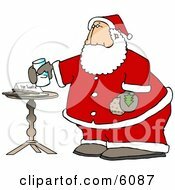 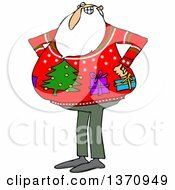 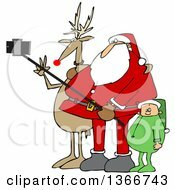 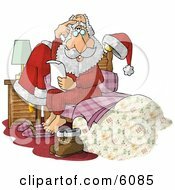 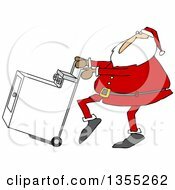 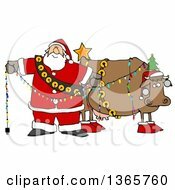 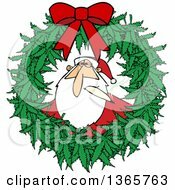 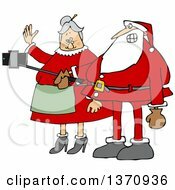 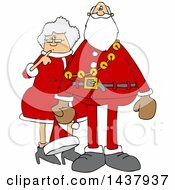 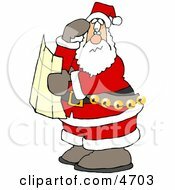 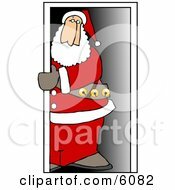 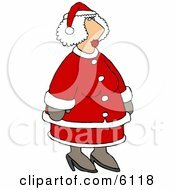 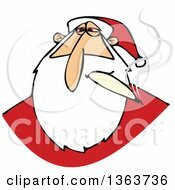 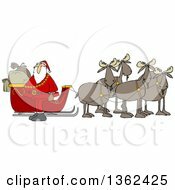 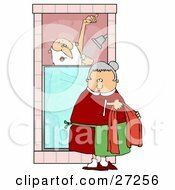 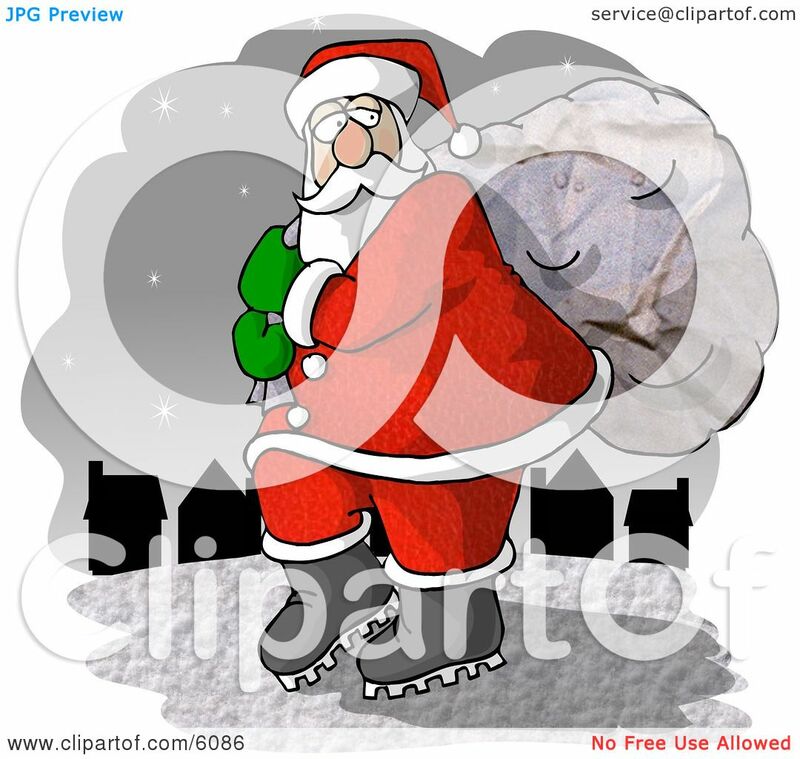 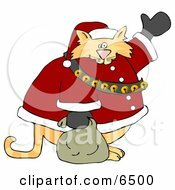 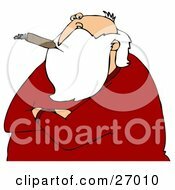 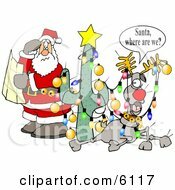 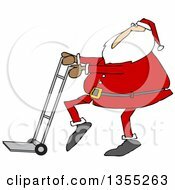 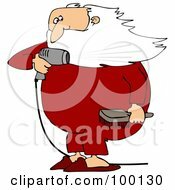 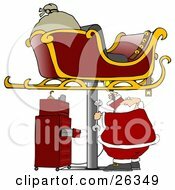 Royalty-free holiday clipart of a Santa Claus carrying toy bag to town. 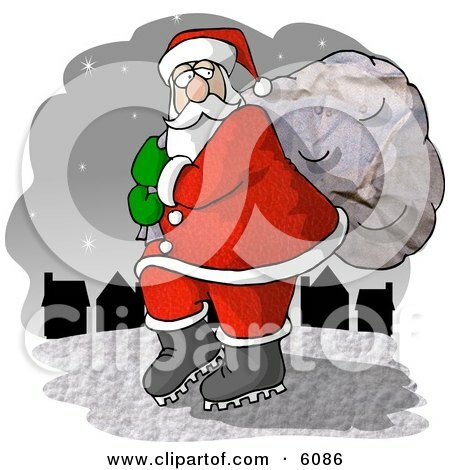 He's walking on snow under a starry night with houses in the background. 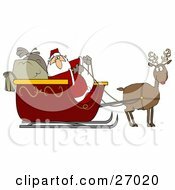 Santa is delivering presents on the eve of Christmas.